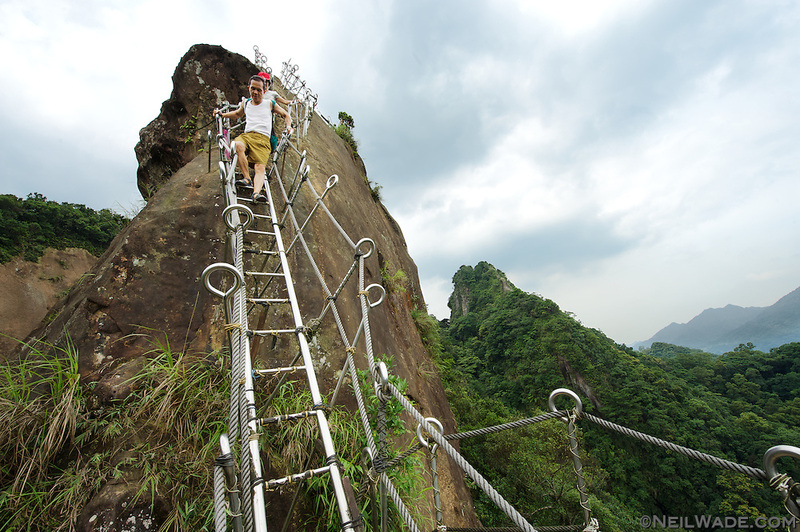 A couple of men descend from the peak of Xiaozi Shan (???) on a aluminum ladder in Pingxi (?? ), Taiwan.